In part 2 of my talk with the top five performers at the recent Kong Off, the contestants reflect on their overall performance, share their future Donkey Kong plans with us and hypothesise about what might happen if tournament strategy would not play as big a role. 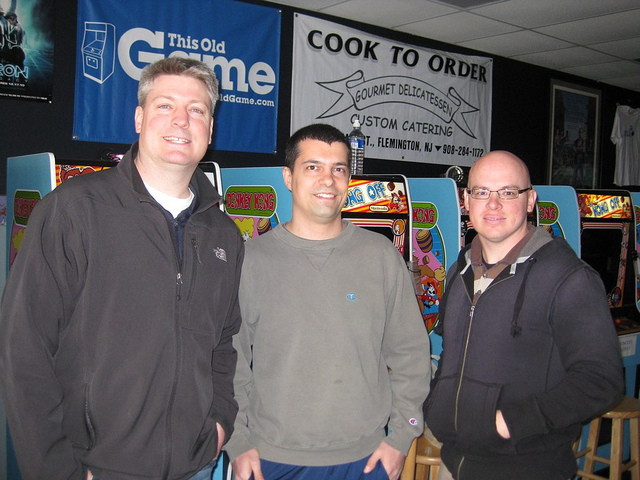 With all his experience playing in public, how was the Kong Off different for Steve Wiebe? Steve: I felt really comfortable playing the whole event. I don’t mind the noise and the distractions. I actually prefer a little noise to lighten up the atmosphere. In this event, I felt less pressure to hit a high score since the other players were helping with the entertainment. I did feel the competitve spirit more at the Kong Off since I wanted to win, but I didn’t feel a “do or die” situation. I felt like I was playing well but just didn’t get the break here or there to get me to the end. So, I felt confident that a good game was on the way. You just never know when that game will come in the game of Donkey Kong. I had some great starts and finished poorly. I also had some poor starts and finished strong, but not strong enough. On Sunday, I finally put it all together and hit the kill screen with a decent score. It was a relief and I honestly felt the score would hold up. So, I have to credit Hank for putting together a great game in the last hours of the event. You can tell he has nerves of steel, which is probably due to performing surgery where the stakes are a lot higher than playing a game of Donkey Kong. If this event had lasted two weeks, with everyone playing and practicing every day, what would the scoreboard look like? Vincent: Good question! I think that there would have been a bunch of 1m scores, and even 1.05m+ scores. I even think that Hank’s 1,090,400 could’ve been broken. And I know that I would have done at least 1m! ;-). And, of course, I would have definitely won, haha! Nah, I don’t think I would’ve won, but it would have been interesting to see the highscores! Steve: I can’t speak for the other players, but I think practicing daily for two weeks leading up to the event wouldn’t necessarily help my live performance. I’ve played enough in my lifetime that a little tune up before the event is all that I really need. Plus, I don’t want to burn out practicing either. During the event, I get warmed up by the 2nd or 3rd game and I’m usually able to play to my full potential. It all comes down to being on your game for that particular day or time period. It’s kind of like the NCAA men’s basketball tournament. If you’re not playing to your ability for that game for whatever reason, then you’re going to lose no matter how much preparation you’ve put into it. However, I do think a two week period would yield higher scores and perhaps a world record by someone. The scoreboard would still be hard to call, since we’re all great players capable of putting up a great score at any moment. Hank: The scoreboard would have been very different. I bet about 1/2 the contestants would have had a million points or better and I probably wouldn’t have won! You actually bring up a very good point. The interesting thing about a Donkey Kong competition is that your strategy is affected by many things including how much time you have and the skill level and strategy of your opponents. In most video game competitions, you should just do your best and score as high as you can score, but that’s not the case with Donkey Kong. You have to know your opponents and adjust dynamically even mid game. Dean: A hypothetical situation of a contest like this running for a full 14 days straight is very interesting. In only 1 1/2 days, I was already beginning to battle early signs of blisters and my left arm and my back were becoming quite sore. But, assuming that such physical challenges could be overcome, I believe that the scores would have been through the roof! I believe that you would have seen the MAME players rise to the top as we became more and more comfortable with the machine. Vincent, for example, posted a kill screen at the end of Day 2. He had literally NEVER played on a real machine before! To me, that is one of the most amazing accomplishments in this game’s history. Tournament strategy would have been quite different also since a long timeframe would allow a lot more playing with no holding back. As it was, tournament strategy began taking over quite early and kept the scores under a million points. Specifically, I believe that Ross and I would have both topped the current world record, and possibly Hank as well! That’s a lot of 1.1 million+ scores! Many others would have gone over a million, including Steve, Billy, Vincent and Ben. Of course, I might be completely wrong, but we’ll never know! Kong Off 2, anyone?? After the tournament had ended, how did you feel you did? Dean: Just after the tournament had ended, I had very mixed emotions. I was the last one playing since I was running up a score at the very last minute that could have won the event if I had just lasted another 25 minutes. Ten minutes later they were handing the check to someone else. I felt quite disappointed that I didn’t win. But at the same time, I was somewhat relieved that I had managed to post a very respectable score during the 1 1/2 day timeframe. Plus, the experience itself was amazing and one that I will never forget. Eric: I was worried before the event that I would be known as the guy who sat next to Steve Wiebe. Now I’ll be known as the guy who got a kill screen sitting next to Steve Wiebe. So I felt great, and still do! Vincent: After reaching the kill screen on my final game of the tournament, I was very happy. In fact, if I hadn’t reached a kill screen on my last game, I would’ve been VERY frustrated! I wouldn’t have been happy with a 742k highscore, because I wanted to make a good impression at the Kong Off. I now know that I did that, and that’s all that matters! 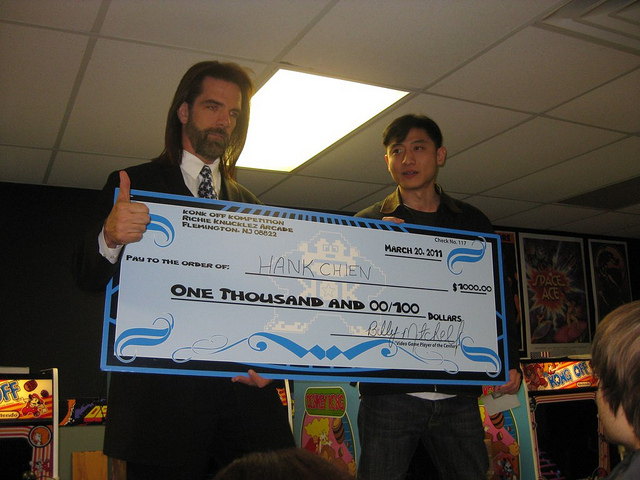 And I don’t mind not winning, because I’m very happy Hank won as he’s the best Donkey Kong representative in my opinion, and a very nice guy! Steve: At the end of the event I was pleased with my performance. I wish I could have finished on top, but I had a great time and I’m happy for Hank. I also want to thank all the players for making the event a success. Hank: I was actually very relieved when the tournament was over. Of course I was happy to win, but the weekend was exhausting and filled with emotions! I remember I was hearing Donkey Kong sounds all night at dinner. I don’t think I’m going to be playing Donkey Kong again for a while! 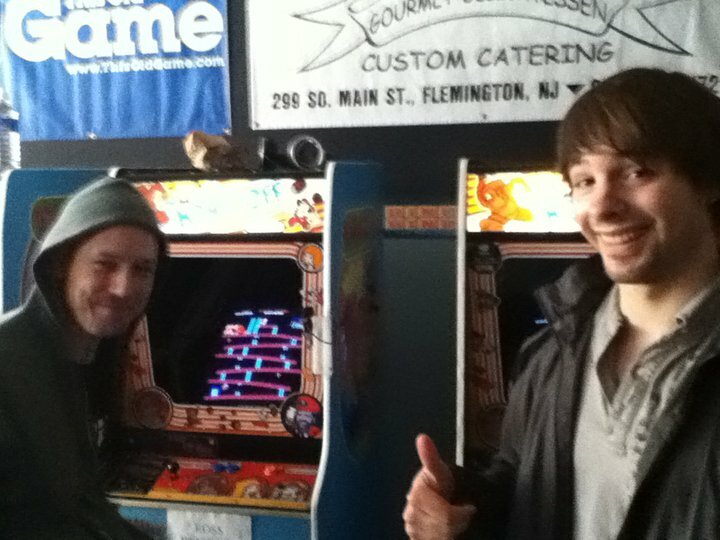 The Kong Off saw two players from the MAME community reach the top 5 in an arcade competition. How was the experience different for them? Vincent: Obviously, I spent 2.5 years only playing on my keyboard, so I know that I’m more comfortable playing on a keyboard. I feel that in MAME, with a keyboard, everything is faster. With a joystick, it takes a little more time to react to situations, whereas in MAME you just have to press the keys. However, I had about three weeks to learn how to play with a joystick before the Kong Off, using a Donkey Kong control panel. The person who built me this Donkey Kong control panel is Robert Felstein, and he built me that to help me practice playing with the original controller (while using MAME). It really helped me to become comfortable with the original controller, but even though I’m a lot more comfortable with the original controller, I still think that a keyboard is a lot better for playing Donkey Kong. I guess I’ll always stay a MAME player ;-). However, at the Kong Off, I had some other issues… The joystick was different from the one I practiced with, so I had to get used to the new joystick. Also, an arcade screen’s perspective is very different from that of a computer screen, so I had to get used to that. On Friday, I had some difficulties adjusting myself to the screen and the different joystick, and I couldn’t even score 300k. But on Saturday and Sunday, everything was going very well! I just had some difficulties with elevator (spring) levels during the weekend, where I died two times during my 742k game at a million points pace. That hurt a lot, because I usually never die on spring levels while playing on MAME. But anyway, I’m not making any excuses, because I played some very good games and I’m very happy about how I did! Dean: Although I am now proficient with arcade controls, I do believe there is a slight difference in the potential score due to the control differences. However, I DO believe that I could match my current MAME score on the arcade — I’m looking to push the MAME score slightly higher. However, this would require getting my own machine and making a lot of attempts. So far, I am still unwilling to make this committment. But you never know! What are your Donkey Kong-related plans at this moment? Hank: I’m going to take at least a month off from playing– at least until I stop hearing Donkey Kong sounds in the bathroom. After that, I’m planning on changing my gameplay a little bit and doing some fine-tuning. I think the score that I have now will be hard for me to beat myself unless I change things around. Steve: For now, I’m taking a break from Donkey Kong. I will probably give the record a shot over the summer, but I don’t want it to become my obsession. Dean: I thought my plan would be to take time off from the game, but being a part of the event has renewed my interest for now. I will continue to work on improving my MAME score which has already been a massive challenge so far. I will take a look at regaining the 1-1 and the No-Hammer titles in MAME if I need a change of pace. Mostly, I’m starting to want to get more involved in the arcade high score saga. I won’t get my own machine just yet, but I may try to make occasional WR attempts at a friend’s house or at live venues such as Richie’s or Funspot. Hopefully I’ll get a handful of chances like this during the rest of this year. If that doesn’t work, I might have to bite the bullet and get myself a machine. Vincent: My plan is to restart playing on MAME, and try to reach 1.15m ;-). I’m not planning to stop playing Donkey Kong, because it’s the only game I’m very good at! I’ll keep playing Donkey Kong as long as this game stays popular and until I reach my goal! But I also want to continue trying to get a perfect Pac-Man score ;-). I think that if I reach 1.175m at Donkey Kong, I’ll consider retiring from the game (until someone beats that score! ), but getting 1.175m will definitely be very hard!